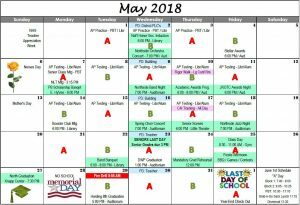 As we get closer to the end of school there are a lot of events and things happening this last month. 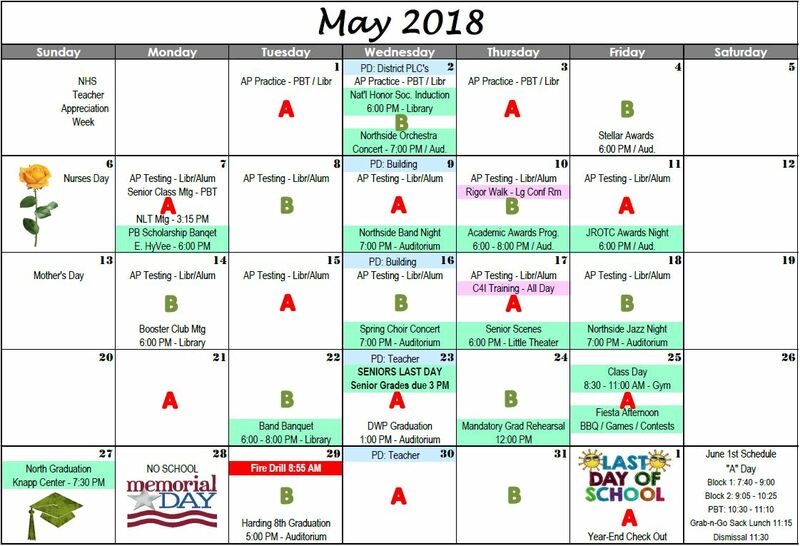 Here is a calendar of events for North High School. Click on the title of this event to see a larger version.